Soap News shares tips for hobbyists and owners of a soap making business. Home crafts can be turned into home based work. Earn income at home! Making homemade soap may be easy for veterans or experienced soap makers, but it can be tricky for beginners. There are lots of things to consider before starting this task. 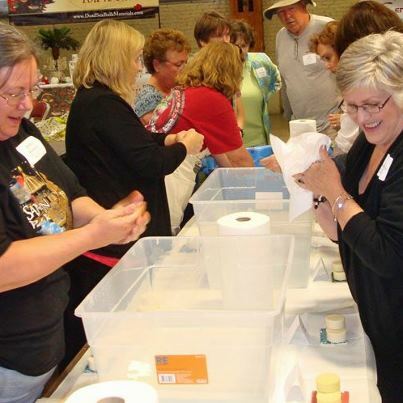 The Alabama Soap and Candle Association, (ASCA), is popular among those interested in homemade based work. Listen to key speakers. Talk to experienced crafts people. Attend demonstrations/functions. Share homemade recipes and creative ideas. Make friends/business contacts. Sydne Spencer, owner of Spencer's Farm, a soap making business, attended ASCA meetings periodically. She demonstrated how to make beautiful felted goat milk soap. The brown homemade soap, shown upper left, is Sydne's "Voodoo" soap. She won the "Ugliest Soap Contest" at the 12th annual ASCA meeting. You're not alone! Here are soap makers at the 2010 ASCA meeting! Sydne Spencer taught soap making classes to beginners or advanced students. Some students have their own a soap making business, now. Depending on the type of soap made, some classes may be suitable for older children too. Some people are leery of bringing lye into their home and that’s okay. Keep lye away from children and pets. 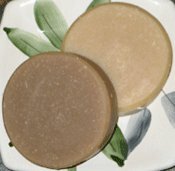 Lye is used to make soap from scratch, but there are other ways to make homemade soap. Melt and pour soap does not require the use of lye and you can still make extraordinary soaps! Melt and soaps are more suitable for adults or older children to make, but caution should still be heeded! Hot soap can burn skin, when not handled appropriately. Young children should not attempt this soap making method, without proper adult supervision and guidance. - Start a creative website. - Give community demonstrations or classes. - Place your home crafts at your local farmers market. - Advertise online or in the newspaper. Display business cards. - Display your home crafts at flea markets/arts and crafts studios. - Teach how to make soap! Make new friends and business contacts! - Sell homemade soaps at reasonable prices. Keep your products fresh! Change up designs and offer specials. Everybody likes a good deal! - Keep yourself educated of soap news! Attend soap making functions. Become a member of a Soap and Candle Association located near you. - You’ll find that word of mouth is the best way to spread the news about your soap making business, so make quality soaps. Don’t sell something you wouldn’t use yourself. Take pride in your work. If your soaps are good quality your customers will probably tell their family and friends. -- Become a Facebook Friend of this website! -- See the "Natural News" page of this website. 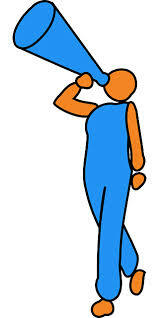 -- See the "FAQ’s" Page. Learn from the questions of others.